THE GINGER COOKIE: PAPER DOLLS? Did you ever fold up a piece of paper and cut out a row of paper dolls? BUT - there were four gingerbread men left and when I opened the tupper where they were stored it reminded me of the paper dolls we used to cut out of a piece of folded paper when we were kids - my generation anyhow! 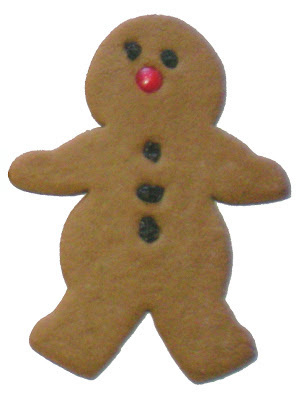 This is our original gingerbread man. Nina makes them for us every year - exactly the same. It's a tradition! But this year she rolled our gingerbread recipe a little thinner - 1/8 inch and they are very crisp compared to the ones we roll 1/4 inch to decorate. You wouldn't think it would make that much difference but it does. They are VERY good rolled thin - or "were" . . . The cookie platter? 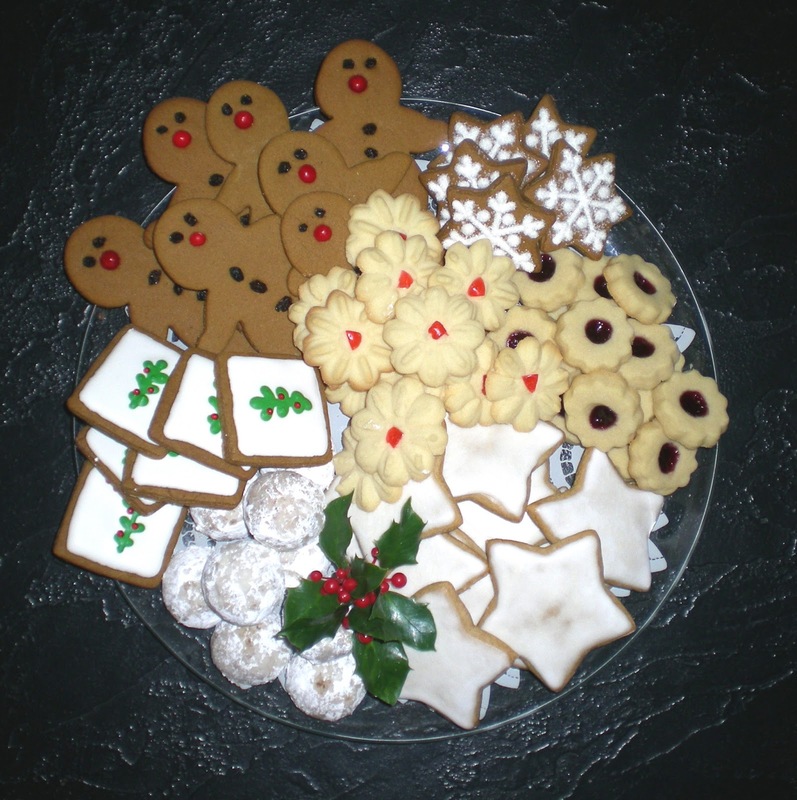 Clockwise from the Gingerbread Men, Ginger Cookie snowflakes, Nina's Jam Buttons, Lebkuchen stars, Pecan Balls, Iced Ginger Cookies with Jill's Spritz in the middle. YUM!